If you are interested in adopting a Bulldog, consider contacting an English Bulldog rescue organization. There are many Bullies in various life stages that need rescuing. Compassionate dog enthusiasts have an opportunity to save a life and provide a good home for a dog that desperately needs one. The English Bulldog, also known as the "British Bulldog", "Bulldog" or simply "Bully", is a medium-sized dog that ranges in weight between 40 and 50 pounds. These dogs have thick shoulders and a large head with folds of fat surrounding lively round, dark eyes and a short muzzle to form the distinctive Bulldog face. 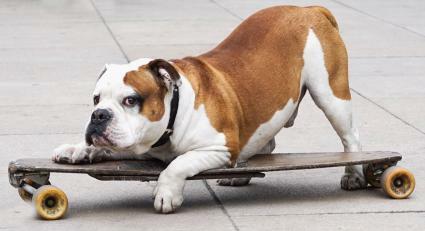 The American Kennel Club (AKC) recognizes the English Bulldog as a Bulldog. Bulldogs can trace their origins to England in the 1500s. The dog breed was originally bred to fight. However, breeders have bred them as companion dogs since the mid-1800s. Today, Bullies are friendly and affectionate companion dogs. While these dogs can be stubborn and some may be resistant to training, they are generally highly intelligent, trainable and well-behaved. The dog owner passes away, and no one in the family can care for the dog. A dog owner does not have time to care for the dog. The dog's family moves and cannot take their pet with them. A dog is abandoned, and the rescue group finds him in an animal shelter. The dog's owner cannot afford expensive veterinary care for the dog's health condition. The dog is difficult to train, and the owner does not have the patience to work with it. Rescuing a dog literally saves his life. Do you want a puppy or an adult dog? An adult rescue dog may already be potty trained and will still form a strong and loving bond with you. Do you have the time to work with a rescue dog that may have existing behavioral issues? The end results can be very rewarding. Are you willing to take in a dog with health problems to make his life more comfortable and happy? A rescue dog is often extremely grateful to have a new home. A rescued Bulldog is usually very affectionate and bonds with you quickly. You will be proud to know that your adoption saved a dog's life. Your rescue gave him a home when it was possible that he might not have ever found one. Any donation or adoption fee goes toward the care of other rescue Bulldogs and the support of rescue efforts. 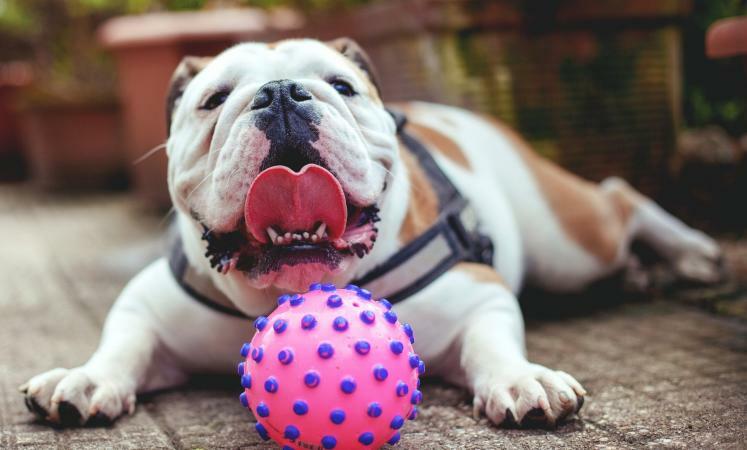 The cost of maintaining an English Bulldog is higher for rescue groups due to their health care needs, especially if the dog they took in had medical issues at the time of surrender from the owners. Adoption fees also cover the cost of all dogs a rescue may be caring for, which includes transportation, medical care, spay/neuter, and more. Most rescue groups are run by volunteers with dogs in foster homes and exist on donations, so while the cost to adopt may seem high it barely covers their costs of keeping all of their dogs for adoption. Rescues may also charge more in order to make sure that their dog goes to a good home that is looking to adopt the dog for the long term and understands the breeds' needs rather than taking in a dog that has a "cool" look without knowing all that having one entails. Pricing will vary widely by rescue group. You can expect to see adoption fees for English Bulldogs from $100 to $1000. Puppies will usually cost more and senior dogs usually cost less. In comparison, an English Bulldog puppy from a breeder can run from $1,500 on up to $30,000. Their high price is based both on the demand for this popular breed and the high cost involved in breeding them, which usually requires artificial insemination and c-sections. Their litters also tend to have fewer puppies than other breeds. Add in the regular health care costs of this breed, which can be substantial, and you have a dog that is both expensive to own and breed. When you search for a rescue group, it is important to make sure that the group is legitimate and highly regarded. Make sure the group is offering purebred Bulldogs for rescue if you want a purebred. There are several Bulldog breeds and some mixed Bulldog breeds. Familiarize yourself with the AKC breed standard to recognize purebred Bulldogs. The rescue organization should have a screening process and comprehensive application that asks you many questions about the type of home you can provide for the dog. They will also want to find out more about you to make sure they select a dog compatible with your personality, family, and lifestyle. They may visit your home, talk to your veterinarian and watch your family interact with the dog before finalizing the adoption. The rescue group will ask you to sign a contract that states that you will not surrender the dog to an animal shelter. They will take the dog back if the adoption does not work out. The organization should not be willing to ship the dog. Don't deal with any rescue group or breeder who is willing to ship a dog. You can also search for English Bulldogs on Petfinder and Adopt-a-Pet which have adoptable dogs listings from all-breed rescues and shelters across the country. Are You Ready for a Rescue? If you are ready to bring an English Bulldog into your home, rescue is a terrific option. Adopting a Bulldog can bring a loving new family member into your home that will soon become a treasured companion.